The first and only one of its kind, the revolutionary AL300RV is designed specifically for RVs. This heavily reinforced lift is engineered to withstand the rigors of RV travel and the HD hitch adapter will fit virtually any RV. 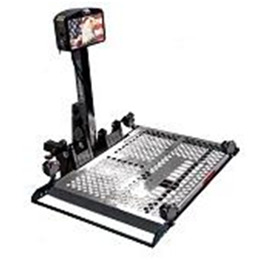 This lift will accommodate power chairs and scooters and, like all Harmar’s vehicle lifts, it is manufactured in the USA and arrives pre-assembled and ready to install.